Transparent as light, as ideas, as music and as the world should be no borders, but freedom and equality! The new vinyl-imprint CLIKNO is set to present Dr.Nojoke's delicate understanding of contemporary dance-music, which is crafted and designed of self-made field-recordings as sample-source and which aims to trigger hips, belly, heart and mind equally. 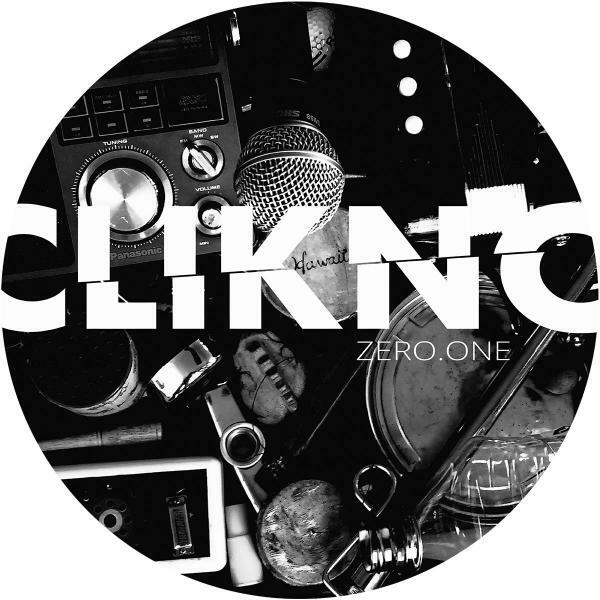 zero.one presents two unique Dr.Nojoke tracks in a totally transparent lay-out. The artwork shows some objects he performs with. The CLIKNO-side is taken up entirely by the thirteen minute piece copipo_, a slowly transforming and care-fully constructed minimal groove-machine. In the first five minutes the track defines the space we're in creating a slightly lost feeling. When pitched kalimba-loops get introduced the track takes a surprising turn letting us ride on a little wave of happiness still nurturing the hypnotic groove with its intricately shifting elements. Raising drones and melancholic harmonies push it back to the darker side then before the track zooms back to its rhythmical skeleton slowly falling apart and vanishing into the void. The other side is driven by the relentless rhythm of pariko_. In the center stands a rhythmical guitar-like sound, which ebbs and flows around poly-rhythmic patterns steadily increasing the emotional level. The track peaks when a resonant synth and a noisy drone joins the game until we got immersed in a stereophonic pulsating field as if krautrock meets techno for another hypnotic dancefloor adventure. It comes on transparent vinyl in a transparent sleeve with a silver/black CLIKNO sticker inside.